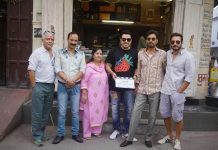 BollywoodGaram.com: Bollywood actors Jimmy Shergill, Nushrat Bharucha and Jackky Bhagnani attended the first look launch of the upcoming movie ‘Darr At The Mall’. The launch event was held at Cinemax in Mumbai on January 7, 2014. 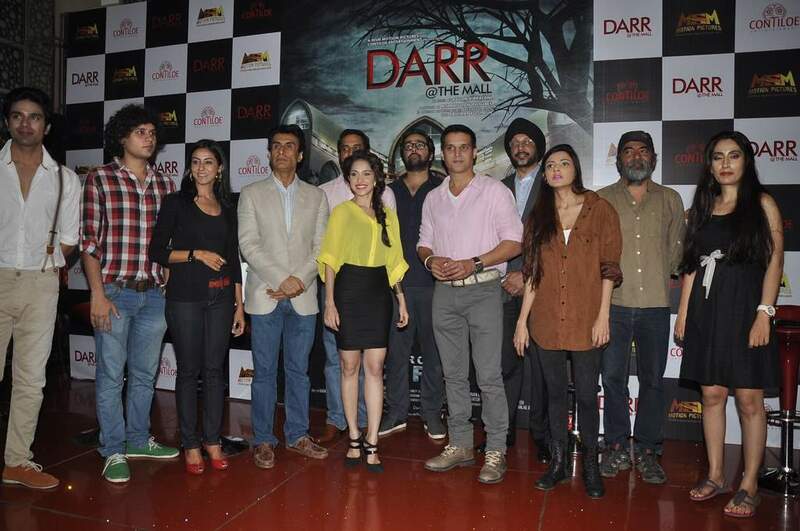 Bhagnani wrote on Twitter, “Darr At The Mall the trailer was awesome and very scary. Watch out for this one guys”. Just moments before the trailer launch, the movie’s official Twitter handle posted a warning Tweet for the audience to hold on to their seats tight. ‘Darr At The Mall’ is a horror movie which features Jimmy and Nushrat in the lead roles. The Pawan Kriplani movie is all set to hit the theaters on February 21, 2014.